MILWAUKEE – With sales stagnant at home, Harley-Davidson has looked increasingly overseas for buyers of its iconic motorcycles. The economic headwinds it faces are increasing however as tariffs abroad, in retaliation for U.S. duties on steel and aluminum, take a bite. The Milwaukee company on Tuesday, citing the tariffs, lowered its expectations for operating margins this year from 9.5 percent to 10.5 percent, to 9 percent to 10 percent. Profits have been pressured for some time, but Harley-Davidson has consistently topped Wall Street expectations in part by slashing costs. 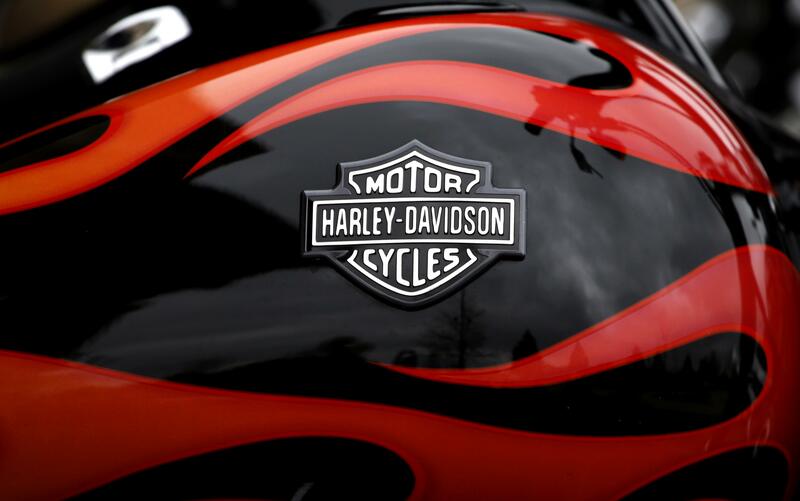 In June, while pursuing that same strategy, it walked into the trade crossfire, saying that production of Harley-Davidson motorcycles sold in Europe must be move from U.S. factories to facilities overseas. The move, it said, was the consequence of the retaliatory tariffs the EU is imposing on American exports. The company wants to keep that momentum going overseas but in doing so, it has incensed Trump, who lashed out directly at Harley-Davidson after it said it would need to move some production overseas. “We won’t forget, and neither will your customers or your now very HAPPY competitors!” Trump tweeted. He then said that the administration would court motorcycle companies that want to move to the U.S.
Harley was one of the high-profile American companies singled out by the Europe with tariffs, along with bourbon and Levi’s jeans. Those tariffs took effect right at the end of the most recent quarter, on July 1, so the full effect was not really felt by Harley. At the opening bell, shares rose more than 4 percent. Published: July 24, 2018, 8:15 a.m.